A number of people have run into a bug with the notification LED on the Moto G. Their notification light won’t ever turn on, regardless of incoming texts, emails, and calls. As best we can tell, this is caused by restoring settings from a Google account, which could include an instruction from an older phone where the LED was disabled, or nonexistent. Motorola released a widget called Notification Light Widget. Stick it on your home screen, use it to enable the LED, and then you can get rid of it. If you can’t find it on the Google Play Store, you can download it here. We’ve seen this complaint pop up a lot more for a range of phones. The problem is perceived as an excessive rattling sound when the vibration motor goes off or when the phone is shaken. Some people link it to haptic feedback on the keyboard. For the most part this is harmless; it doesn’t affect the functioning of the device at all, but it may annoy you. The most likely cause is a loose button. You have a couple of options. Go to Settings > Sound and you can turn Vibrate on touch off under Keys. You can also turn off Vibrate when ringing. You can also go to Settings > Language & input > Google Keyboard Settings and turn Vibrate on keypress off. Try applying a case. Some cases will reduce or completely prevent the rattle. You could open up the back cover and put a small piece of paper or tape in the space between the buttons and the back cover. This should prevent any excessive rattling. If it is really bothering you, contact your retailer and try to arrange a replacement phone. 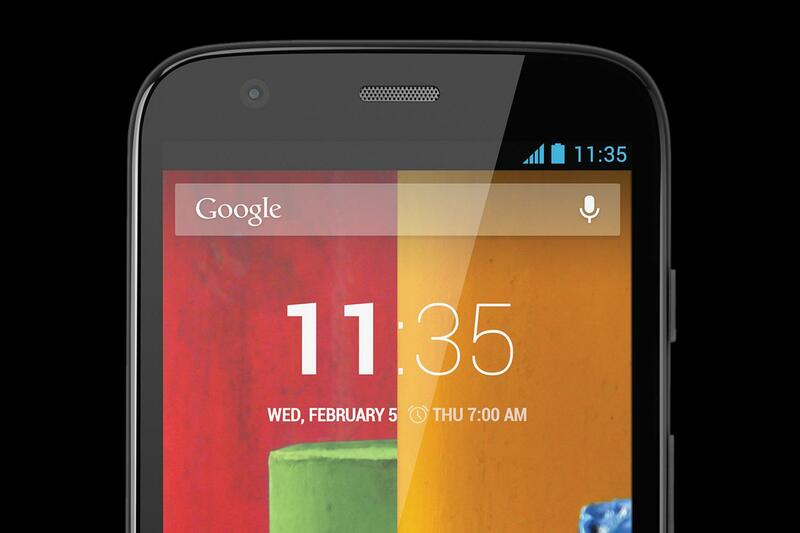 You may get a Moto G with no audible rattle, or you might find the same problem again. The Moto G offers good sound quality for the price, and you never expect much from the speakers, but some people have been disappointed with the quality of the audio when using headphones or earphones to listen to music. Go to Settings > Sound > Audio Effects and you can tweak the equalizer settings for the Wired Stereo and Speaker separately. Try playing with the settings and change the profile to see if you can get a sound that’s more to your liking. To keep costs down, Motorola shipped the Moto G without a charger; you just get the standard USB cable. It will work with pretty much any standard charger you may have lying around, but some people have reported problems with the phone rebooting when they plug it in, or refusing to charge when the battery runs down. There have also been reports of the Moto G just turning itself off and not charging. This is probably down to the specific charger that you’re using. Try another one and you likely won’t encounter this problem. Ideally, you want a charger rated between 500mA and 1.5A – the higher the rating, the faster it will charge (within these parameters, higher than 1.5A and the Moto G will restrict it anyway). If you let your Moto G hit zero and it won’t come back to life, try letting it cool down for a while, then plug in a charger (ideally a different one) and leave it for 20 minutes or so before holding down the power key for 20 seconds. The charging port or the battery may be damaged or faulty. Reach out to Motorola for assistance. If you want to install an app from an alternative app store, or anywhere but Google Play (or side-load something), you usually start by going to Settings > Security and scroll down to tick the box next to Unknown sources. However, you may also need to untick the Verify apps box. With the Moto G there have been a lot of people reporting that, even after doing that, when trying to install an app they get a parse error message. If you upload the APK into Google Drive and then install from there on your Moto G it should work. If your Moto G is rooted, you can use ES File Explorer. Go into the app Settings > App manager and tick install APK automatically and the app will handle it for you. Make sure that all of your important data is backed up and factory reset the phone. You can do this via Settings > Backup & reset > Factory Data Reset > Reset Phone. Now uncheck the security options when you are setting the device up again.